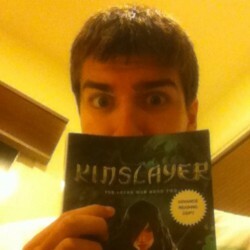 Requiem - Lauren Oliver - review - Scott Reads It! Lauren Oliver is one of those authors who I will read LITERALLY anything she writes, it doesn't matter what the subject is. Oliver has this raw, beautiful ability to create such lyrical, unparalleled prose and Requiem is no exception. Despite my complete adoration for Oliver's writing, I had been extremely nervous about reading Requiem because the reviews have been less than stellar. I wasn't a huge fan of Delirium, but by the middle of Pandemonium, I was completely infected with deliria nervosa for this series. 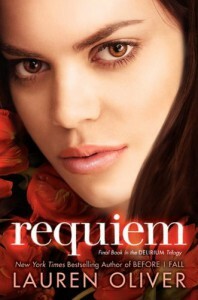 Though the Delirium series isn't the best, I didn't want Requiem to tarnish my view of the series. To be honest, I'm not a huge supporter of Oliver's decision to break this book up into both Lena and Hana's point-of-views. Hana's point of view was interesting, but I really felt like it took away something from the bigger picture. I know Oliver wanted readers to see how essential love is in life, but we never really see how love affects Lena. Considering the Delirium Trilogy is all about love, why is Lena's romances such a negligible part of the story. Why is Alex barely apart of this story and why does he barely interact with Lena? Even Lena's so-called romance with Julian takes the backseat for Hana's point of view and story. I honestly would rather have read about either Alex or Julian than read about Hana who was concentrated on too much in this book. You can read the rest of my review, over at Scott Reads It! ARC conclusion dystopia HarperTeen Lauren Oliver terrible why?